Online shopping: Place your order online with our safe and secure Careerbookstore.com shopping cart. Call 215.256.3130. We're ready to help you! Please have the product code numbers and your credit card handy. Fax Anytime To: 215.256.3136 Please include your credit card number and expiration date or your purchase order with completed order form. Print an offline order form here. Questions or inquiries? 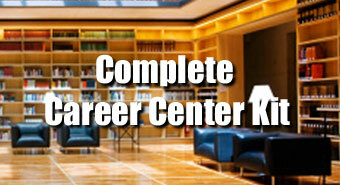 Please email service@careerbookstore.com. *Please note that CareerBookstore.com does not accept international orders and does not ship catalog requests to international locations.